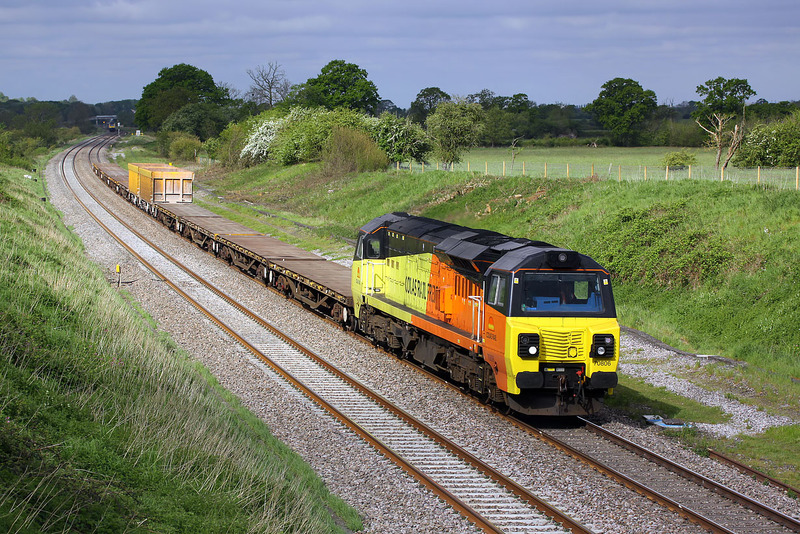 70806 passes Compton Beauchamp on 16 May 2016 with the 6M50 07:55 Westbury to Bescot engineers train. The Met Office been a little optimistic by forecasting full sun until mid morning. In fact the clouds had started to build up quite early on, and this passed in a very transient sunny spell, with clouds both in front and behind.